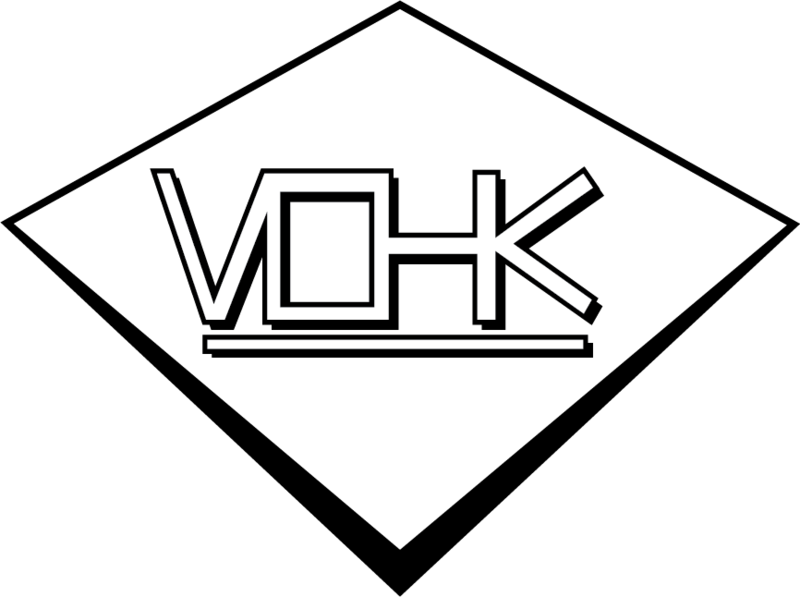 One of the many seminars at the 2015 Denver Expo was put on by Erik Woog of VOHK (Alpine Motor Sports). 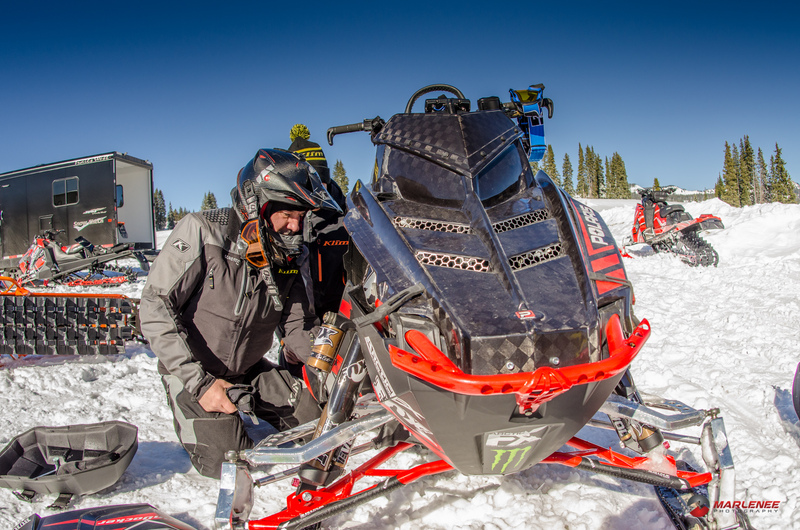 Woog has been the mechanic and builder behind dozens of backcountry athletes over the past decade including: Chris Burandt, Chris Brown, Matt Entz and the Boondockers Movie team, just to name a few. Woog was kind enough to donate some time to teach us about his experiences in building sleds. Please take a moment and visit his website (click here). Below is the video and transcript of this workshop! Editors Note: The transcript doesn’t have as much value as the video! Assuming everyone here is a performance enthusiast of some degree, we’ll move forward with that subject in mind. One of the most relevant subjects in this industry is “What is New”. I will start by saying that most of my involvement involves Polaris and Arctic Cat. I can answer questions about other vendors, and I’m going to be looking for your involvement. I’m walking around the show this year, and I’m seeing a lot of snow bikes and the new AXYS, and the geometric changes on the Arctic Cat. Remember, there are no stupid questions. All of us have been really excited about the new AXYS chassis. The spirit of this sled is ‘light and simple’. From a geometric standpoint, things changed dramatically! One of the big differences between the Pro and the AXYS is the height. The geometric changes are significant. They dropped the suspension out of the rear further and extended the spindles. What did this do? It allowed the components to get higher out of the snow and interact in a better fashion. They managed to lower the center of gravity, but extended the ride height. It makes the sled a lot tippy-ier. In the front, the geometry didn’t really change, except the length of the spindle. The biggest geometry changes is the rear. The drives were lowered, etc. Aside from those changes, the chassis is designed to be lightweight. Most of us in the performance world really support lightweight, especially when it doesn’t affect durability. The Cat got to see some pretty big changes this year too. A/C got an enhanced geometry and rear skid. Most of what’s been done for 2016, in the rear of the sled, is moving the mounting location for the rear skid. It’s not for tunnel clearance, but to keep the sled from over transfer weight. The new 16 also saw a pretty serious camber change on the front end. Does anyone understand why they went to the new angle? It’s a really important change in the chassis. The sled did not like to elevator very well. The important thing on the camber, is that the more you turn the ski, and the straighter the camber is, the flatter the ski lays. So, as you change the camber, you allow the ski to have a more maximized angle. This allows the ski base to have a better angle in the snow. In the Polaris and previous cats, as you turned back downhill, it allowed the machine to turn back downhill. I don’t think that Cat did a great job illustrating this, but it is a significant change. There’s definitely a fine balance, and I think that cat did a good job of following the aftermarket on what they seemed to have resolved. I get this question a lot. What does a narrow front end do? I think it’s a performance enhancement, whether it’s YOUR enhancement, is for you to decide. There’s no doubt the AXYS chassis is narrow and tippy-ier than the PRO chassis before. If you were to create a 1-10 of riding skill, we find that the people in the lower end of the spectrum have some troubles with the AXYS chassis because it requires more balance from the rider, which is easy to overcome, once you learn it. The more advanced riders prefer it. The sled itself requires more balance to ride. Whereas the Ski-Doo feels more stable and requires less input. I find that people, as they progress, prefer a sled with an easier balance. This can be accomplished through a narrow front end, especially with a tippy-ier chassis like the AXYS. Now, many of the aftermarket is offering sway bars. For me, it really boils down to shock package. 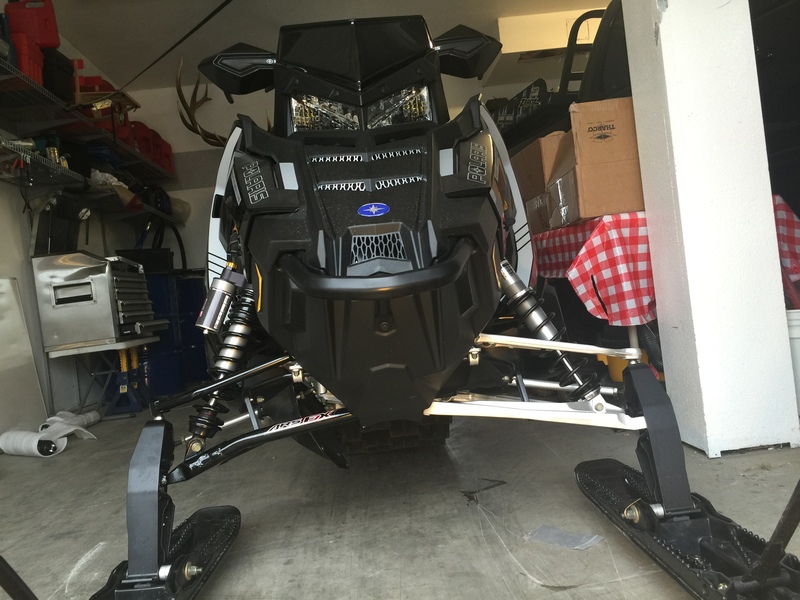 If you’re sticking with stock, that’s not enough to hold the sled up without sway bars. You might look at the Assault and wonder why it doesn’t have sway bars. It’s because of the shock package. So that’s a consideration that should be kept. As you change the geometry of the front end, you change the physics of the shocks, so you need to consider something aftermarket or upgraded. It’s combined with the fact that the 2016 Polaris is very poorly sprung. 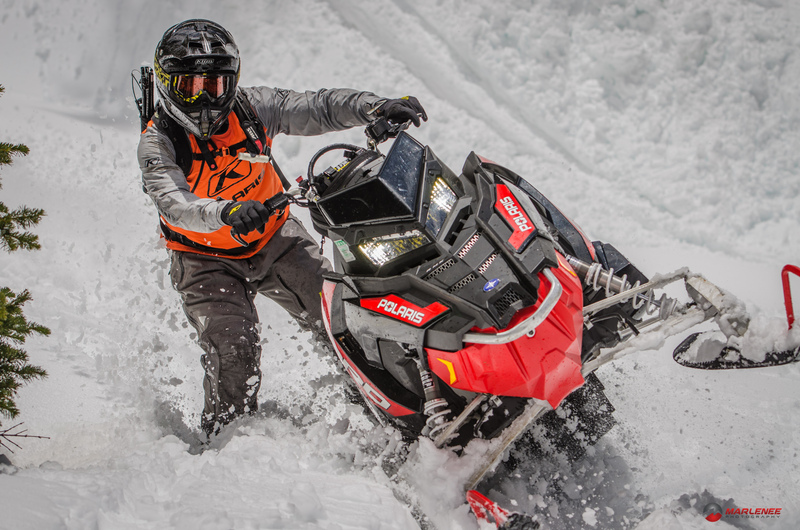 Most manufacturers have dropped the skid down to decrease drag and to help the sled get up on the snow even better. People like Arctic Cat are also using an upgraded track, and creating some negative angle (like the old Attack 20) to get sleds to float better. There are geometric enhancements from changing the durometer of the track also. What’s going on here, [referring to drawing on the video], is that about half-way down the clutches is the most efficient place to run your belt. You need to think about this when you’re talking about gearing. People are applying similar formulas to today’s sleds, but aren’t taking into account that most manufacturers have went from an 8-tooth driver to a 7-tooth driver, which also causes a reduction in gearing. This is pretty interesting and you need to be careful to not under gear these sleds. Does anyone know how to choose the right gearing? One of the main things to think about: What is the potential main speed of the machine? You don’t want to gear so low that you roll the belt out of the drive clutch, especially on road rides. You also want to make sure you’re correctly ‘loading’ the motor to make sure you’re building the correct amount of heat and making the most power. There are charts (and I can email those if you want them) that show the terminal gearing. That should be where you start and work backwards from there. My suggestion, is that you want to be as low of gearing as you can, without some of these other consequences (under heat, under load, throw a belt, etc). Pitch: The distance between the drive points (the fiberglass rods at the base of the lugs, which are driven). Why, on longer lugs, is the pitch also longer? It’s for better snow-filing and packing. Back in the day, the rear bogies were 6.25”. They found that trying to wrap a track around such a small circumference was causing some loss of energy. This is because of how the lugs are having to bend to make the smaller circumference bend. This wastes just a minor amount of energy for each lug, but is done thousands of times per minute. So, if you can reduce the parasitic loss, you will have extra power to work with. Now, the case is that the OEM’s have designed the largest wheel size that will not rub the heat exchangers. When I see people with 10” wheels, I think that they’re probably involving the tunnel and heat exchangers in bottoming out their suspensions. The track needs to be tight enough to handle the drive demands. Ratcheting a track is one of the most destructive things you can do to a drive-train. It’s better to have your track tight than too loose. The PRO track has to be a bit tighter than the rest of the OEM’s because they don’t use extroverted drivers. One theme, that I see a lot, is that guys are installing extroverted drivers and anti-stab kits, then loosening their tracks so much that they can spin them free-handed. What’s happening here, is that the track is gaining an extra dip of momentum in a wave-like pattern, at speed. It also effects the ‘ever-sensitive’ approach angle, because the drivers fill force the track out the front of the tunnel, not down to the rails. If you’re too tight, you will wear out hyfax and other parts. So my basic rule of thumb, is to suspend the rear of the skid and find the mid-span point. Use one finger to pull the track down. You should have a two-finger gap. The biggest savings was weight. Today’s tracks are significantly lighter, so the long-term effects of porting your track, to me, have been negated. The materials have changed. The flotation is better, without porting. So, in today’s sled-world, I wouldn’t port a track. Since the new AXYS now comes with a 7-tooth driver, I see that Kurt’s Polaris has an 8-tooth driver sitting out there. I don’t think the 3” track will clear an 8-tooth driver. I need to follow up on this one. They are probably trying to adjust gearing ratio with the 2.6 track. On my website: http://www.alpinemotorsportsinc.com/ there are some great starting point suggestions. Make sure you exercise the shock, before you start setting it. Then, sit on it, in a normal riding position. You’re going to be somewhere between 120-150 psi on the main (rear). On the fronts, I’d start at 60 PSI. The EVOL chamber on those shocks will handle the bottom end. And, don’t be afraid to exceed the psi-max on the EVOL chamber. Question from the audience: I’m thinking about putting a belt-drive on my new Arctic Cat, what do you think? Well, we did a bunch of testing with all of the belt drives, from TKI to the stock Pro versions. We see some energy loss on the belt drives, especially when it’s back-bent with a tensioner. So, you have to weigh that against the weight savings. If you don’t care about top speed, or the durability issues with hitting the opposing side of a creek bed under full boost, then it’s definitely the way to go. Belt drives seem to be less durable, and are more susceptible to heat damage. So you have heat-failure, high-speed failure, and shock-load failure. The faster that the belt goes, and especially for a longer duration, the more likely it is to fail. This is a great advancement in the tuning world. We can now alter the amount of oil to deal with extra injectors, oiling the turbo, etc. I’ve been a big proponent of this advancement. I’ve got guys that I’ve done dual-builds for, one two-stroke and one four-stroke. I’m sure they can speak more intelligently to this subject. The new four-strokes can be very pleasant to ride, especially up-hill. They’re comfortable going down the trail, and the technology is more familiar to some people. This technology seems to be dominated by the EPA. The spirit of snowmobiles has always been lightweight, and I don’t think the four-strokes follow that. The four-strokes respond well to turbos and building power. I think the advancements in Li-ion technology has come a long way. I think Polaris’s acquisition of an electric vehicle company is more related (in the short term) to their electric vehicles and bikes. I don’t see it coming to the snowmobile world, outside of university challenges, for a while. As we move forward in this industry, you’re going to see a lot of big changes. 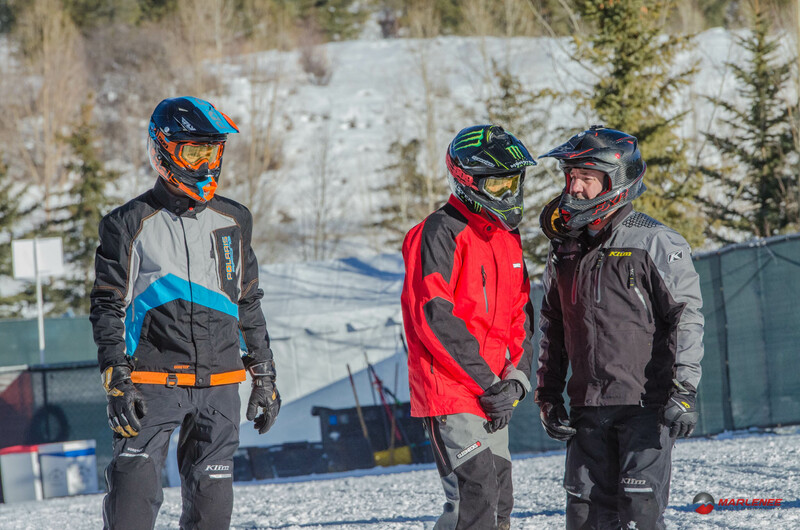 Most of the snowmobile technology transcends to the snow bike world. This will be a great item for next year’s show. They don’t replace a snowmobile. They don’t do the same things, and are purpose built. You need to ride one very specifically. You won’t be happy with one, if all you’re doing is to rip up and down the trails. You need to get out into the trees. One of the things that I see, as far as a need, is the implementation of a CVT type transmission. Especially with a turbo, you end up running through the gears really quickly. It’s interesting to see the advent of the 2-stroke bikes in this industry. The 300cc two-stroke is building almost 20 more horsepower, and is maybe 15 pounds less. It’s also great to see the pressure from other manufacturers like Yeti and the new Arctic Cat bike. TRAX, the history of the snow bike, is a great movie to see how they have progressed. The convertibility is also a great feature. A lot of people have dirt-bikes and it’s attractive to get people into the sport. The Dobek controller is very inherently different from the Boondocker controller. I really like the advancement in the electronic boost control, which Boondocker has developed. Technologically, the Boondocker electronics set it apart from the competition. I think that Boondocker has really led the industry because of their electronics. They have made it a really rideable, reliable system. There’s not a list of don’t-do’s with a Boondocker, because of the electronics. Question from the audience: I’m looking for a pull-and go package. What would it cost? Well, I think one of the coolest things this year, is the $3,995 Boondocker kit (for the AXYS). For a 2015 Pro, I’d budget around $7,000 for the turbo kit, tuning, and some aftermarket parts to help durability. I don’t want to send people out that aren’t happy. It’s important to find a shop that knows what they’re doing and can help you and stand behind you. We end up mopping up a lot of messes from people doing it at home, and it ends up costing more. I can’t stress enough, to find a good shop. Feel free to hit me up, after the show. My email is on my website, or you can call the shop! Thank you all for coming.